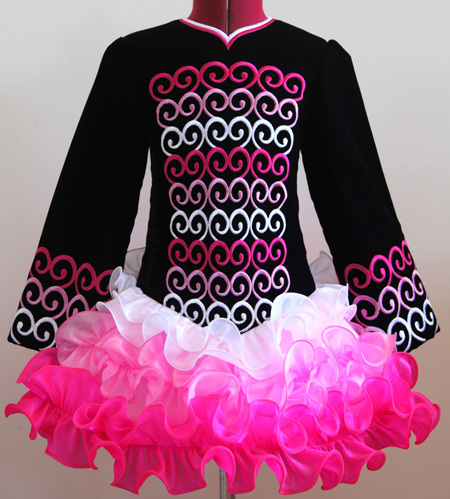 Total back length (top of zipper to hem): 25"
Black velvet bodice and sleeves, with hot pink, baby pink and white feminine embroidery design. 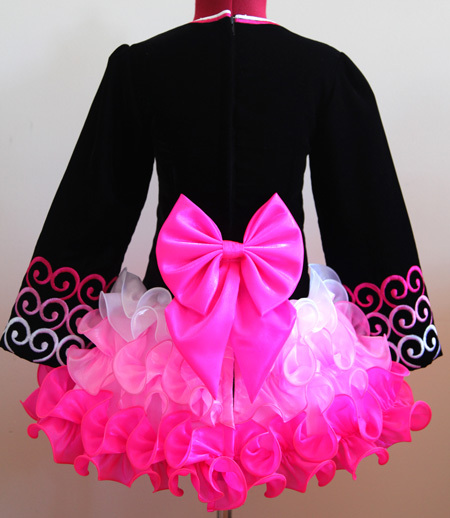 Adorable cupcake skirt ruffles constructed from hot pink, baby pink and white twinkle satin with tone on tone trim. Adorable ‘bow’ shawl constructed from hot pink twinkle satin.